Dr. Pradeep Bhardwaj alumnus of world famous Indian Institute of Management- Ahmedabad., recipient of many prestigious national & international awards like – Limca Records holder for being the “Youngest Medical Superintendent” at the age of 26 years, Rajiv Gandhi Award -2010, Padma Award-2012 Nominated by Delhi CM, Youth Idol & Youth Icon Award : Delhi University, Indian Achiever Award, Medical Excellence Award, Listed India’s TOP-10 Doctors in Hospital Administration, India’s Most Influential people in Healthcare- 2014, Healthcare Personality of the year 2014 and Rashtriya Ratan Award-2009. He has created several landmarks in healthcare sector and has written more than 10 reference book on hospital management. A 360 degree achiever, Dr. Bhardwaj is one of the few young leaders who have made a mark for themselves, without having a godfather in the industry. He started his career from DDU Hospital, Delhi, Apollo Hospitals Group, Fortis Healthcare Group, Sir Ganga Ram Hospital & Indian Spinal Injuries Centre, New Delhi. 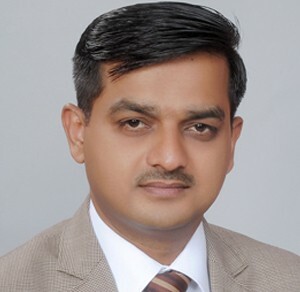 He is an expertise Management Leader in Healthcare, Medico Legal Expert, Prolific Author’s – Editor and Visiting Professor & Faculty in leading Healthcare Management Colleges / Universities like Harvard, IIM – Lucknow, IIM-Ahmedabad, ISB – Hyderabad, Global Institute, Amity University, Symbiosis International University, AIIMS, National Board of Examinations etc. He is also Board of Advisory, Jury in many healthcare organizations / management institutes / universities. He participated in over 245 symposia as “Jury, Faculty, Chairperson, Key Note Speaker Chief Guest and panelist” at National & International Level. He is currently making waves in healthcare industry at Six Sigma Accreditation Board, Six Sigma Star Healthcare Limited, Delhi” (India’s 1st & World 4th largest healthcare management company). Recently Dr. Bhardwaj organized First of its Kind High Altitude Medical Services at Holy Amarnathji Yatra – 2014 at Sheshnag (JK), and previously he organized “Medical Rescue Operations” at Kaidarnath, Gaurikund, Badrinath and saved 511 people.